Sunny Day at Sultan Ismail Petra Arch. One of the most prominent structures in Kota Bharu is the elegant Sultan Ismail Petra Arches which located at the Kota Sultan Ismail Petra. 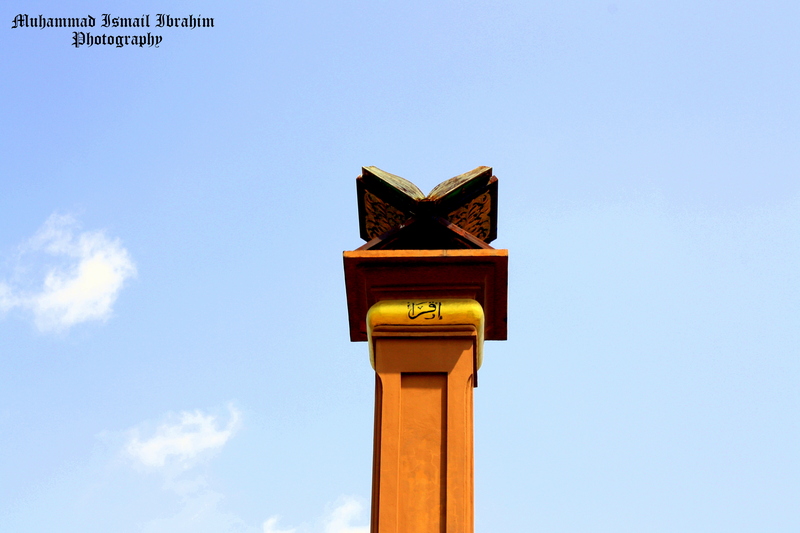 this pillar symbolizes THE SUPREMACY OF THE KORAN as a state guidance to lead this state. The arches are a beauty and adorned with Quran. 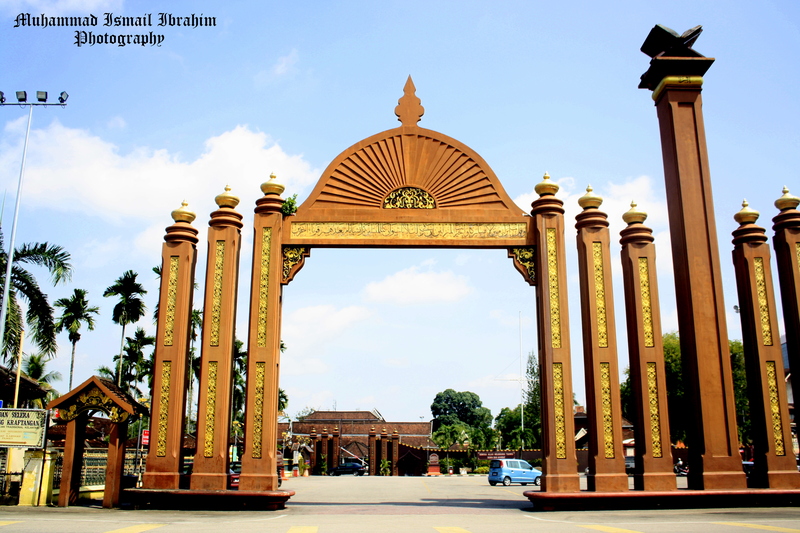 Islamic influence is highly presence in its design This timber arch commemorates the declaration of Kota Bharu as a cultural city. It faces the main town square, Independence Field. 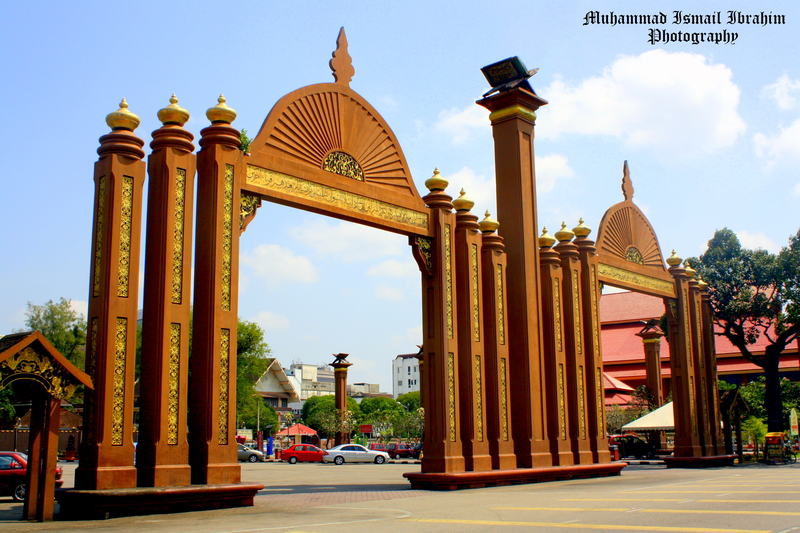 The so-called Sultan Ismail Petra Arch in Kota Bharu, just across the road from the towns Grand Mosque, Masjid Muhammadi. Built in 1990s to elaborate the grandeur of 250 yrs old Balai Besar Palace close-by. 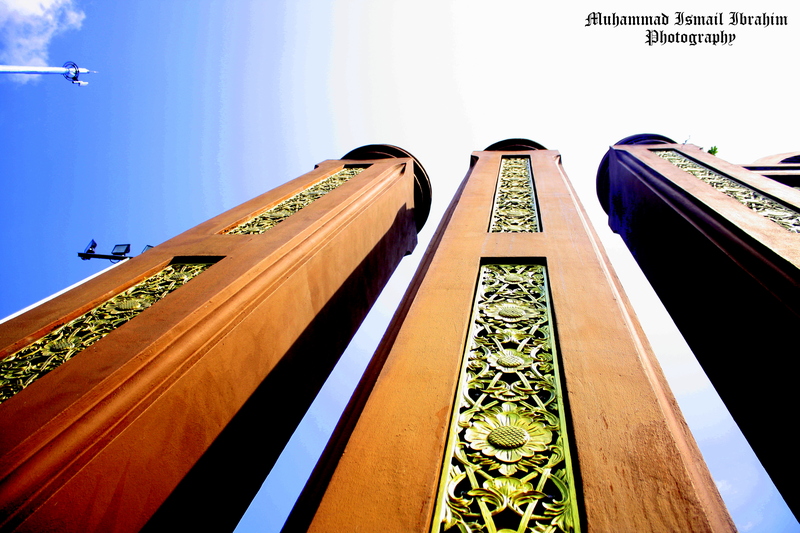 The pillars of Sultan Ismail Petra Arch. 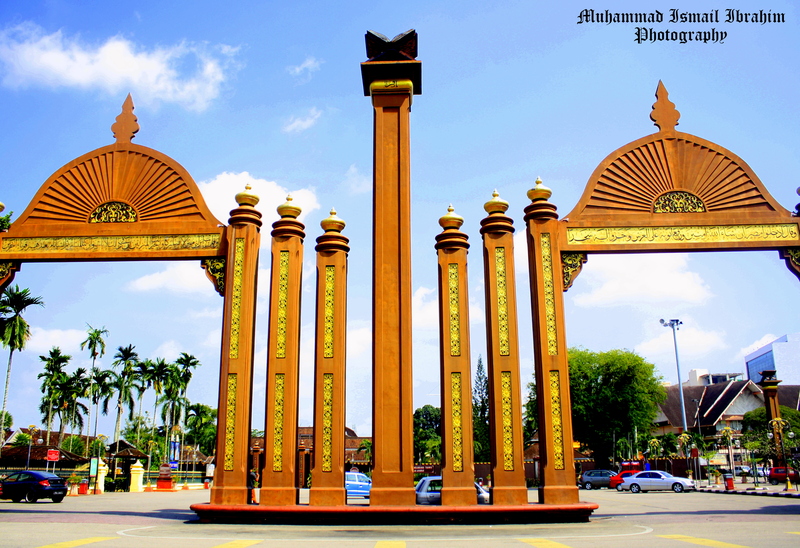 (Sultan Ismail Petra Arch, The Landmark of Kota Bharu, The Islamic City ). 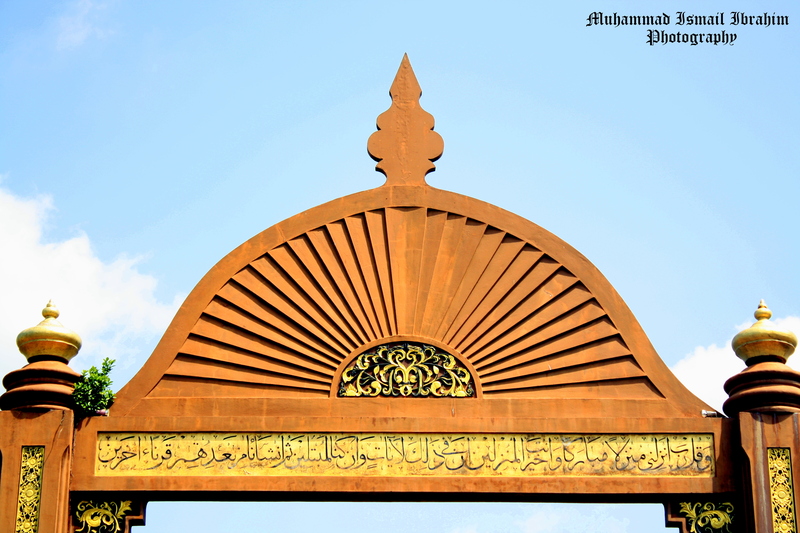 This arch was commissioned and placed at the square to commemorate the declaration of Kota Bahru as a cultural city. This vision to preserve the Malay culture was spearheaded by Sultan Ismail Petra, hence the name. Facing the arch is the single-storey Istana Balai Besar. This Istana was built by Sultan Muhammad II in 1840 and was the official residence of past sultans. 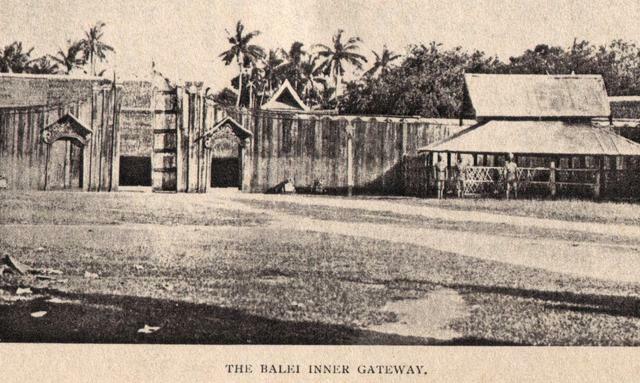 The daunting gates and fortified high wooden fencing of the Istana. 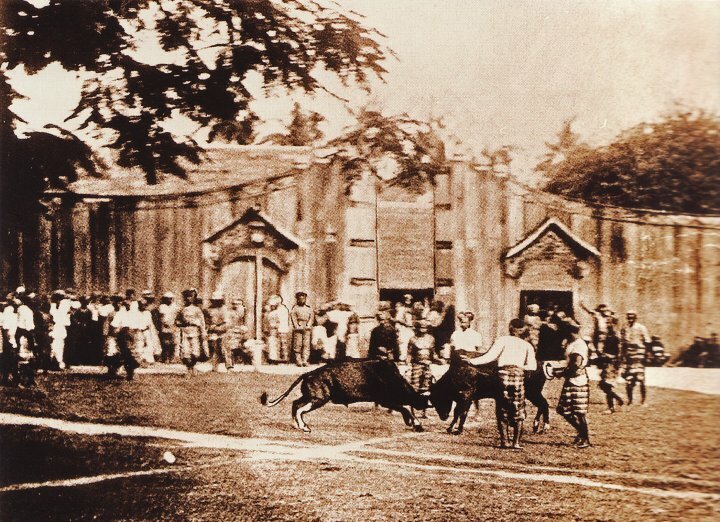 Old black & white photos at the museums show the ever-popular bullfights performed right at this site a century ago. 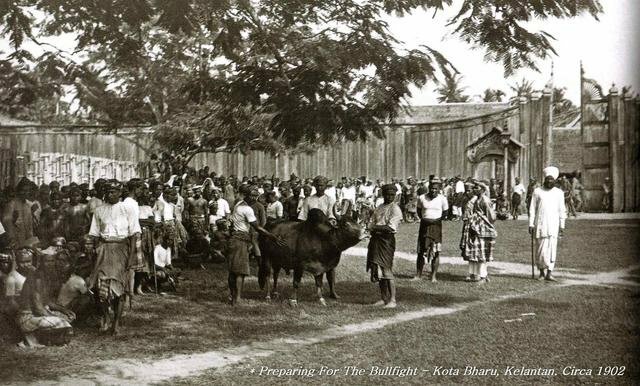 Bullfights used to be the highlight of Royal Ceremonies until it was banned in mid 1900’s. Now, this site is the most popular and must-visit place for local and foreign tourist who come to Kelantan. Filler Entry: This site, a century ago. The Kelantanese and their leisure. An Evening view at Sultan Ismail Petra Arch back in 1906 taken by W.A Graham, he was a Siamese Majestys Resident Commissioner and Adviser to H.H. the Raja of Kelantan, Sultan Muhammad IV. .
« Produk Kelantan: Maahad Tahfiz Al-Quran Wal-Qiraat Pulai Chondong. huhu..lamo tunggu post terbaru demo ni..gano,cbuk ko loni? 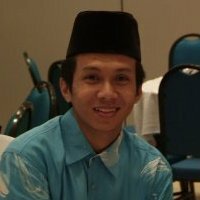 I know this place as Tugu Al-Quran… it was what i read from the textbook when I was a young boy. I just wants to refresh your memory and all of us who flock here.